There are no major updates from iPhone for the past three years. A large number of iPhone users are switching to Android instead. If this is the case, then you would definitely feel difficulties to transfer your personal data, specifically all the contacts from iCloud to Android. This is a very common problem for the people who have just migrated to the world of Android after using iPhone for a long time. 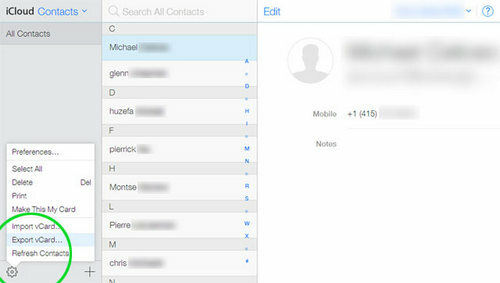 For some freshmen, the entire thing is like a hot potato but actually this is a very simple procedure to move all the contacts to your Android device from iCloud. This article mainly aims to provide the best solution in this regard. 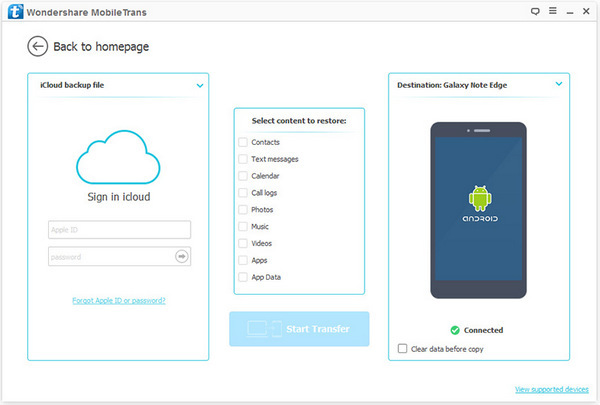 There are two ways to transfer contacts from iCloud to Android. The first one is that you can directly transfer contacts from iCloud to Android and another way is transferring contacts via VCF file. If you didn't sync contacts to iCloud, then there will be no contacts available for download in iCloud. 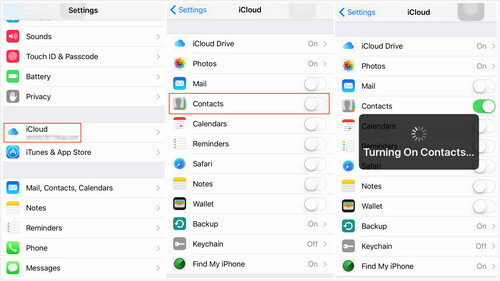 Please to go to iPhone Settings -> iCloud and make sure Contacts option is enabled. Just go to the official page of iCloud.com and sign in with your proper apple ID and password. Now click Contacts icon from the index page. In Contacts page, you can see a gear icon on the left bottom corner. click on it and select Export vCard. Then all your iCloud contacts will be downloaded on your computer. At this time, copy and paste the file to desktop. Connect Android phone to the computer via USB cable and the computer should automatically detect the phone. Now go to the MY Computer option and just find the drive name of your phone. Now, simply copy and paste the vCard file to a folder on the phone. Open Contacts app on your Android phone and tap Menu button. From the option list, select Import from SD card. Now navigate to the folder containing the vCard file and select it. 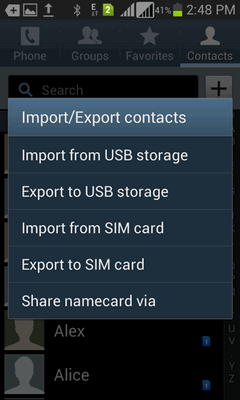 A few seconds later, you can see all the contacts are properly saved to your Android Contacts Book. The above method takes a lot of time if you didn't have prior experience with iCloud. And it is only capable of transferring contacts. The fact is that there are a lot of data to be transferred when switching to a new phone. Those data includes contacts, text messages, music, photos or ebooks. So if you were intended to make a full transfer, then you should take method 2 into consideration. I am going to introduce a nice and powerful phone transfer in method 2. The program is able to transfer all kinds of files from one device to another within a few clicks. Plus, you can also use this program for data backup and restore. Click the download button to save the installation file on computer. Then install it on the computer with the default setup wizard. Finally, open the program at the end of installation. Connect your Android phone to computer with USB cable. Make sure the device is recognized by the computer. If not, then follow this guide to solve the problem. From the main screen, click Restore from Backup and select iCloud from the options. Then input Apple id and password. After login, all iCloud backup files will be shown on the screen. You need to select one at this time. Finally, download the selected iCloud backup file on your computer. Once all the contacts from iCloud back up are downloaded, you can choose the desired file type for transfer, which are located at the central of the program. 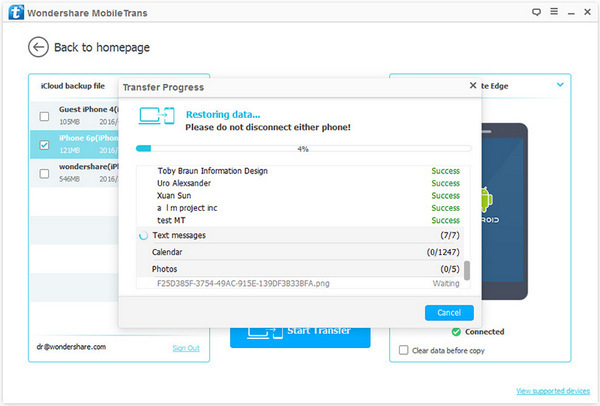 After selection, simply click on the "Start Transfer" button to begin the transferring procedure. A few minutes later, all your iCloud contacts will be transferred to Android. The method provided above are very simple to follow and you can choose the one according to your own needs. 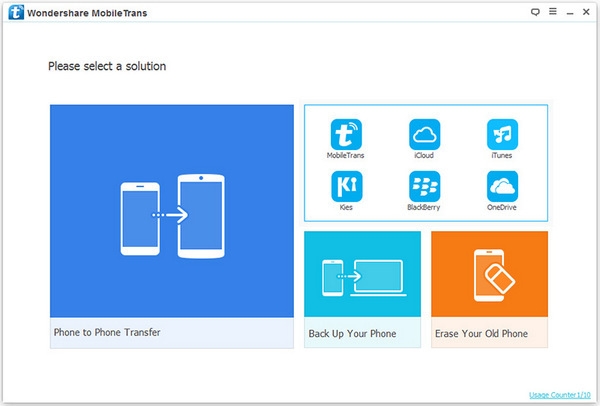 If you were the one who changes devices frequently, then Phone to Phone Transfer software is the best choice available. For contacts transfer only, iCloud is also a nice candidate. One thing that you should keep in mind is that data backup is very important for your phone because losing data becomes easily on touch-based smartphones.